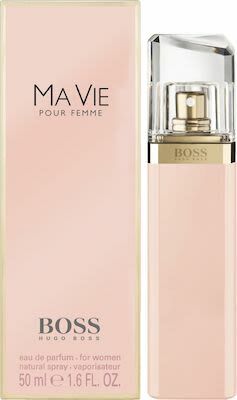 Boss Ma Vie pour Femme was inspired by the independent spirit of a woman as she pauses to indulge in the simple moments in life; in this moment, she is at her most captivating, exuding a glow of femininity and confidence. Fresh, indulgent and fulfilling, this perfume created around the cactus flower invites you to take time to savour your life. Top Note: Cactus Blossom. Heart Note: Pink Floral Bouquet with Rose Bud. Base Note: Cedarwood.